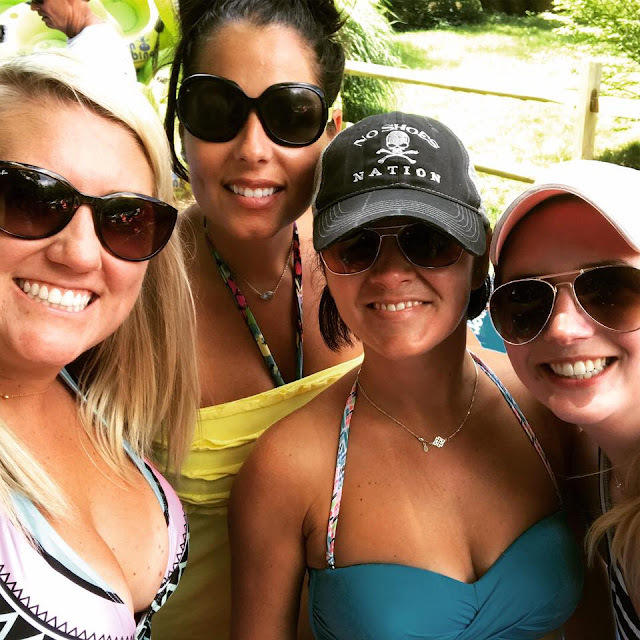 One Southern Belle: Girls Trip!!! Back when I left Charlotte, I left a lot of things behind. One of the most irreplaceable things was my work family. I have a job here and it's great but for the last few years I've had the privilege of working along side of some of my best friends. Sure work is hard and can be stressful but at the end of the day we all still left as friends. Before we moved we had all made plans to go river tubing in Asheville, NC (we went last year as well and had a blast!!!) The trip had been planned long before Chad and I decided to move, but it was so much more special since it gave me a great excuse to road trip to see some of my friends from home!! 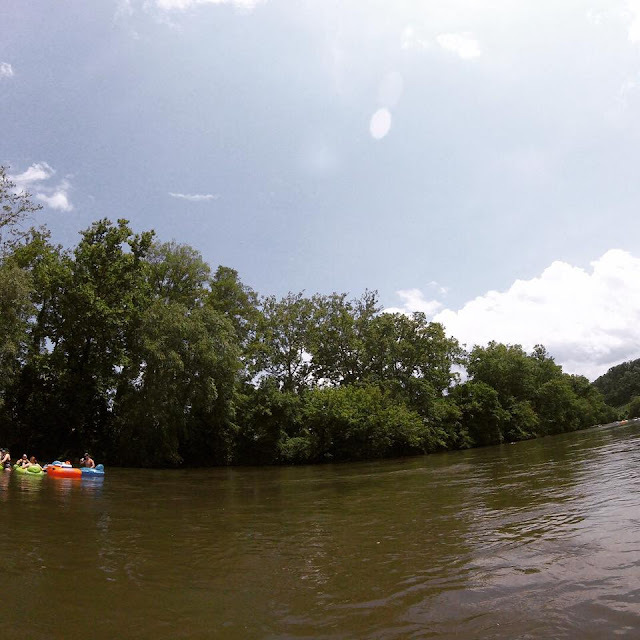 The trip down the river was so great...for the first 3 hours. During the last hour the sky turned black and we had to paddle as hard as we could to make it to the end before the storm hit! 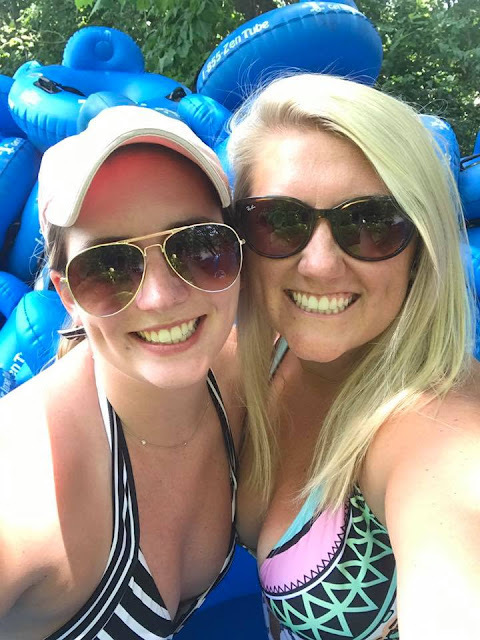 River tubing is one of my favorite summer activities (especially down the French Broad River) laying in the tube and casually floating down the river is such a great way to spend a Saturday! 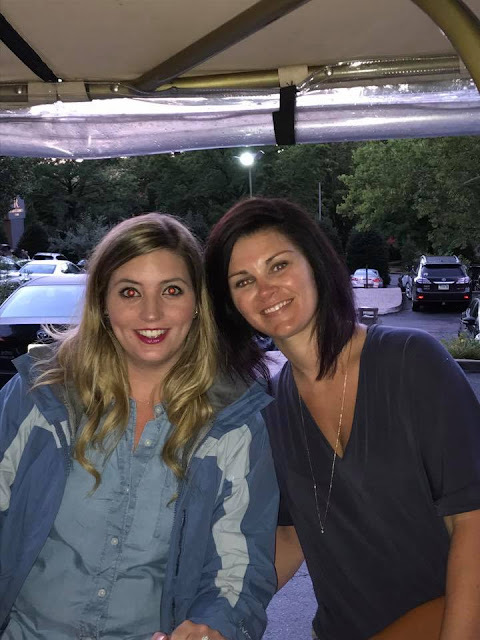 It was so great to get to catch up with everyone and hear about all the fun I'm missing out on at the office! We were really lucky that we made it out before there was too much lightening. Everything was soaked and the stress level was high for a bit, but it definitely made it more of an adventure! 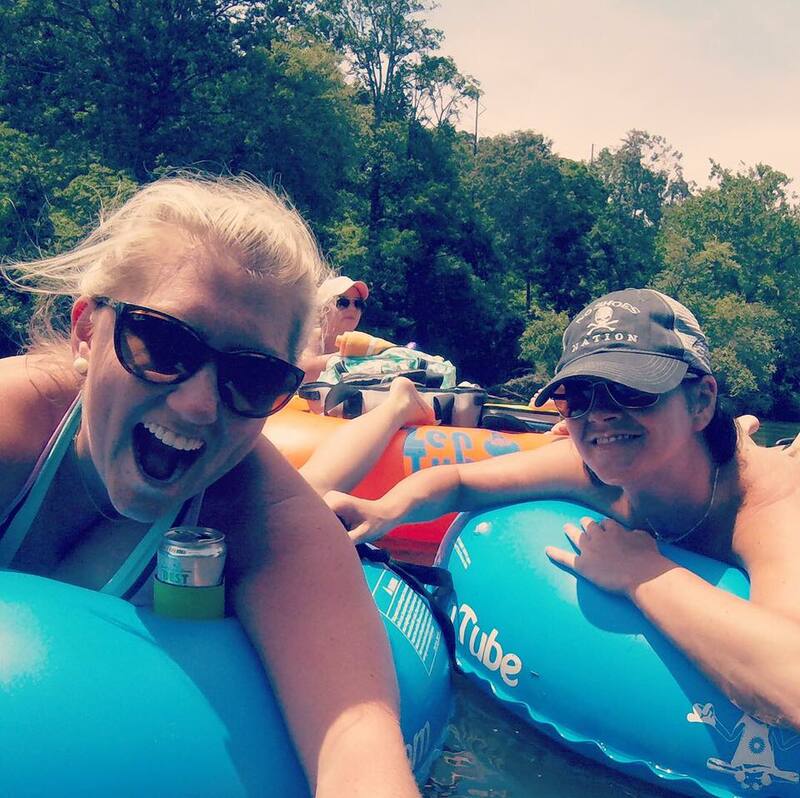 There are a few different places to tube in Asheville but we went Zen River Tubing. You can check them out using this link. They are open until September 10 so you still have a few weekends left this summer! 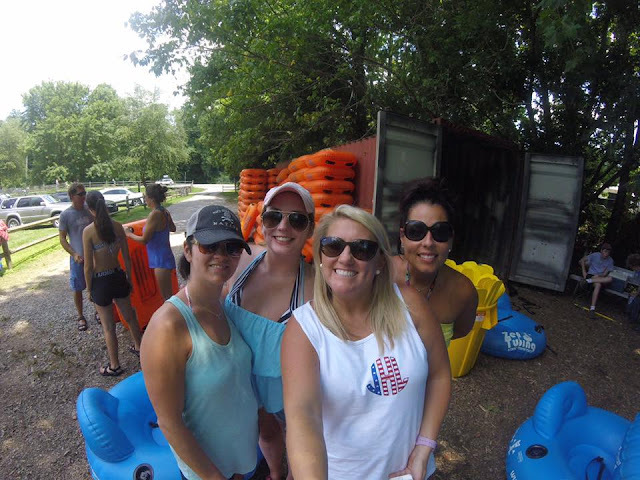 Thanks to Jordan's Go-Pro for all the fun photos! 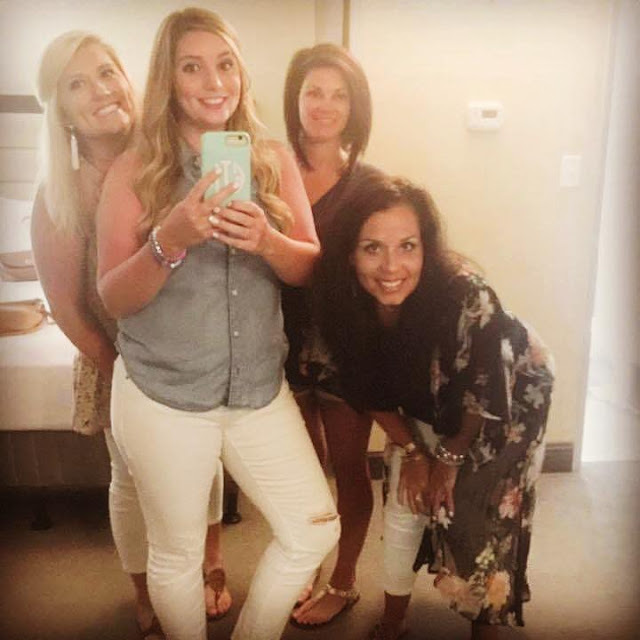 We got back safely to our hotel and got ready for dinner, I always forget how much fun it is having a room full of girls getting ready together :) I think they are some of my favorite memories! 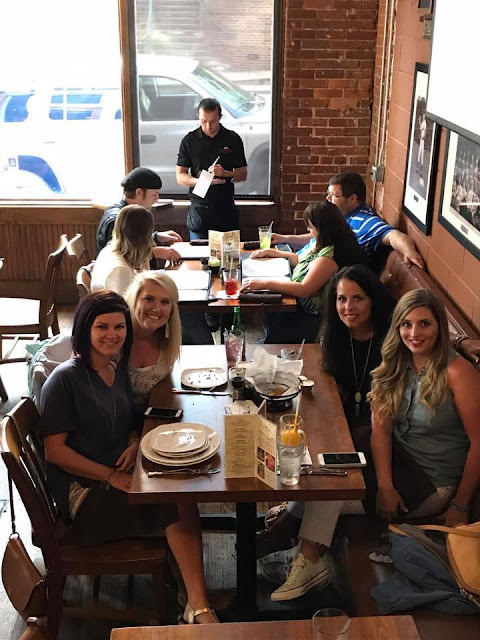 We had dinner at Pack's Tavern and the food was soooo good!! 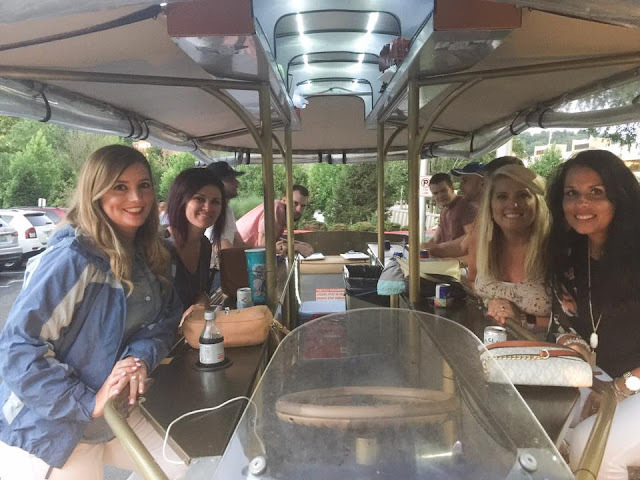 After eating all the food in Asheville dinner we did our best to burn it off on a pubcycle tour! 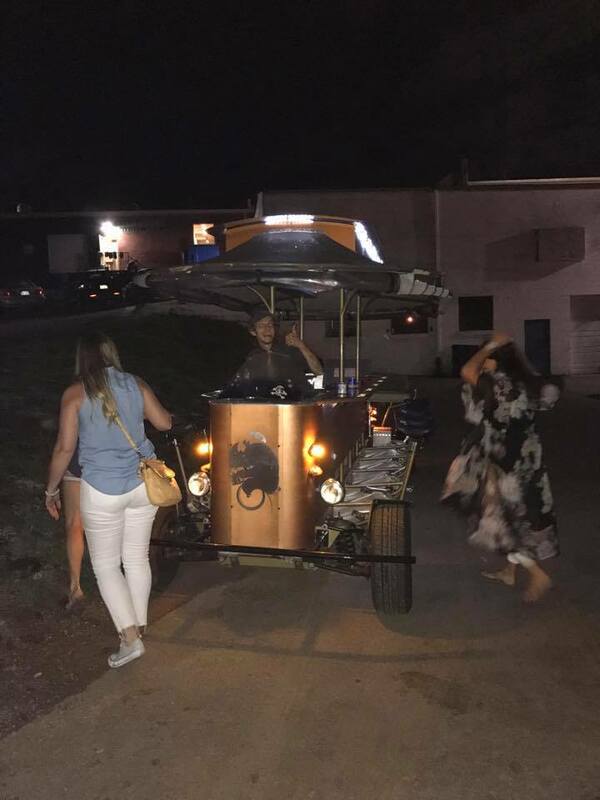 We've seen these bike pub thingy's all over in different cities but I've never actually tried one. We had reservations for one that night and even though I'm not a beer drinker (I brought a diet coke for the tour!) it was still so much fun pedaling coasting while the boys on our pub tour peddled! They played some great songs from our teenage years and we sang and laughed all night! If you've ever seen one of these around you might have thought "That is the most annoying yet fun thing I've ever seen!" And yes, we were loud and obnoxious and only went like 13mpg which blocked a lot of traffic ut also yes, we had SO MUCH FUN!!!! We booked through Amazing Pubcycle and our driver was the best!! Thanks Amadeus for a great tour!